Suffered from a Motor Accident? Please fill in your Details if you’d like to Discuss a Motor Accident Claim. Being involved in a motor accident is bad enough. People involved in a car accident not only have to worry about their injuries but also have to deal with the tedious insurance claim filing process. When it comes to road accidents, drivers and passengers aren’t the only ones at risk, pedestrians and cyclists are also vulnerable. 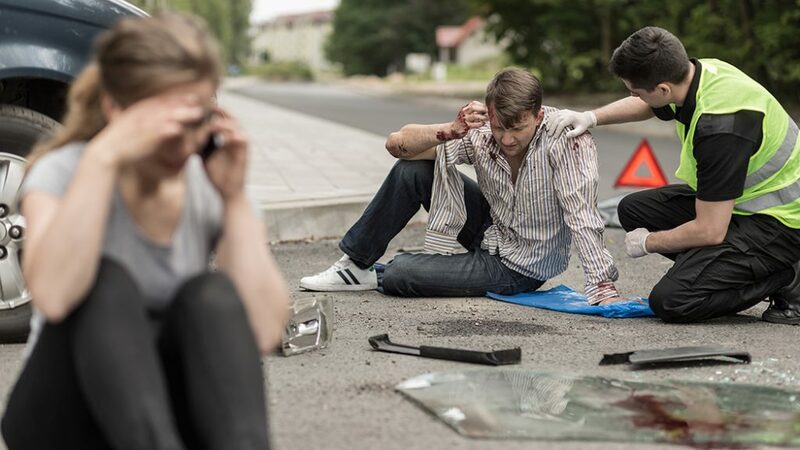 According to a report published by the UK Department for Transport, there were 24,831 serious injuries resulting from road accidents that were reported to the police in 2017. So, there’s one extra incentive to practice safe road-use techniques. But what happens to a more-than-scrupulous road user who just happens to be a victim of a motor accident? Well of course, he or she will be overwhelmed with fear, adrenaline, confusion and uncertainty. But what comes next? Or rather, what should be your next move? After you’ve collected your thoughts and undergone a medical examination if necessary, there is a task that you cannot afford to neglect, filing an insurance claim. Many people often underestimate the consequences of filing a claim without proper preparation. To not complete any tasks prior to filing a claim can create many problems in the future, including lack of compensation for body injuries or property damage.Here’s what you should do after a motor accident especially one that wasn’t your fault. Before anything else, give the police a call. By contacting the authorities you get a police report plus if you are the victim, a police officer might act as your witness which has a significant impact when filing a claim. Taking pictures: Take photos of the scene of the accident including both vehicles, vehicle’s license plate, how the cars or people were positioned and also skid marks. Also, don’t forget to snap some photos of your injuries. Memos & receipts: Keep a record of all receipts and prescription orders related to medical care or costs incurred as a result of the accident. Witnesses: Statements from the people who saw what happened are vitally important when filing a claim. Ask for their contact info in case you need them again and convince them to give statements to the authorities for reference. Now that that’s all out of the way, give you insurance company a call and update them of the situation. Typically, the claims process isn’t a walk in the park. Auto insurance companies have a lot to consider and might take forever before they compensate you. Moreover, you must figure out how much compensation to claim and prove that you deserve the specified amount. Want to keep the insurance company on their toes? Then consider hiring a solicitor. Professional solicitors have vast knowledge and experience in motor accident claims in the UK and will not only help you through the initial stages but will also seek to ensure that you get your compensation.